In this PHP and MySQL course in Durban you will learn all the important aspects of developing dynamic content for websites. You will learn how to code PHP and manage forms. You will also learn how to interact with databases using PHP. Finally we will look at how to implement PHP code into a website. You will start by learning the syntax (the way we write the code) of PHP and all the basic functions. You will then learn more advanced PHP techniques and how to use it to build advanced websites. You will also learn how to work with MySQL and connect to databases using PHP. 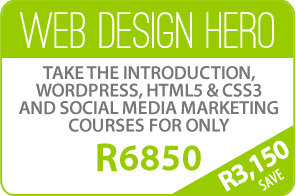 As with all our courses, this PHP course in Durban will be practical, step-by-step instructions. You will actually build something while learning PHP and MySQL. This course will cover all the basics and more advanced techniques. The course is easy to follow and grasp. PHP is a powerful, free server-side language which is relatively easy to learn for those who have never programmed before. PHP and MySQL are a cost-effective but powerful solution to building database driven Websites which can be developed and deployed on either Windows or Unix(Linux)servers. This PHP course is for developers and designers who need to grasp the latest PHP coding conventions and techniques. All the examples are based around the Object Oriented nature of PHP 5.x and best practice is encouraged throughout. Anyone wanting to learn the power behind PHP and MySQL. For this PHP and MySQL Course in Durban we will assume working knowledge of Windows or Mac systems. No previous PHP or SQL experience, but a good understanding of HTML and CSS is a requirement. Much More – View All subjects below. You can always sit in for the same course again at any time within a year for free. Our Tutors share their 13 years experience and best practices, something you won’t get anywhere else. 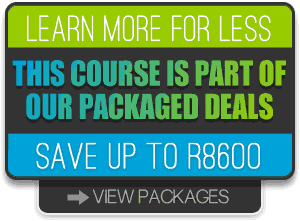 For this PHP & MySQL Course in Durban we supply detailed course notes and reference text. We try to provide sufficient supporting material so that you can return to your work place with sufficient confidence to permit further learning. You also get all course activity and files on a DVD disc at the end of your PHP Course. There is nothing worse than leaving a course and feeling left on your own. We like to ensure our customers have all the support and backup they need which includes 90 days unlimited support by phone or email. You also get lifetime support through our Resource Centre. For the PHP Course in Durban you can also sit in again for the same course if you feel you need a refresher. We provide water, coffee & tea throughout the day. You can even have your coffee at your desk. Access to our resource website with free stock images, tutorials and code examples. I can not thank you enough for the great course. This was more than I expected and much easier than initially imagined. 5 Stars for you guys. The best course I have ever attended. The 13 Day course changed my life. I am now a full-time web designer. The tutor was outstanding. Apart from the course content being so informative we had the chance to ask questions to specific needs. 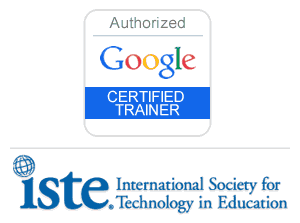 Excellent Courses, well recommended. I am so impressed with Web Design Academy. They made the course material so easy to understand. By the second day I was already creating my own website. Even my 16 year old boy who joined me loved the course. A huge thank you to you guys. You have amazing service and excellent course material.